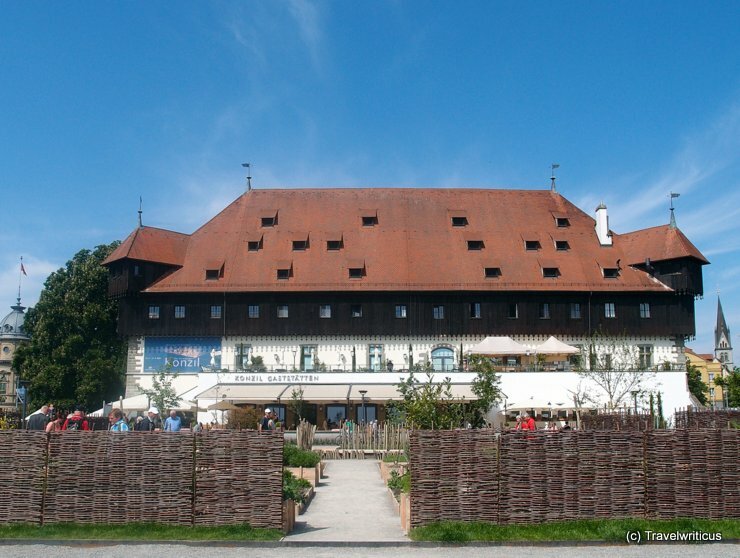 Today this former market hall is used as restaurant and event location. So there is a chance to celebrate an anniversary or party in the same hall where a pope was elected about 600 years ago. On the photo above one can see parts of a historical kitchen garden which was erected on the occasion of an exhibition showing valuable pieces about the Council of Constance. This entry was posted in History and tagged Baden-Württemberg, Constance, Germany, Lake Constance by Travelwriticus. Bookmark the permalink.